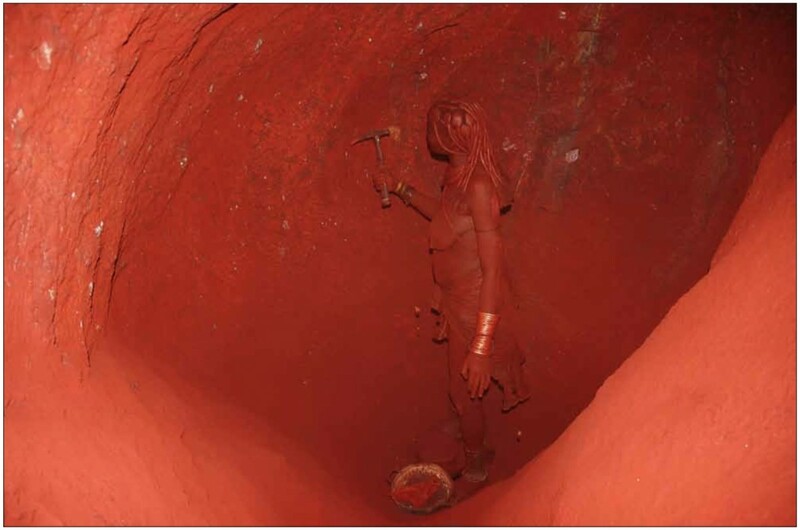 Image: Gregor Borg and Margaret Jacobsohn, from Ladies in Red – mining and use of red pigment by Himba women in Northwestern Namibia. 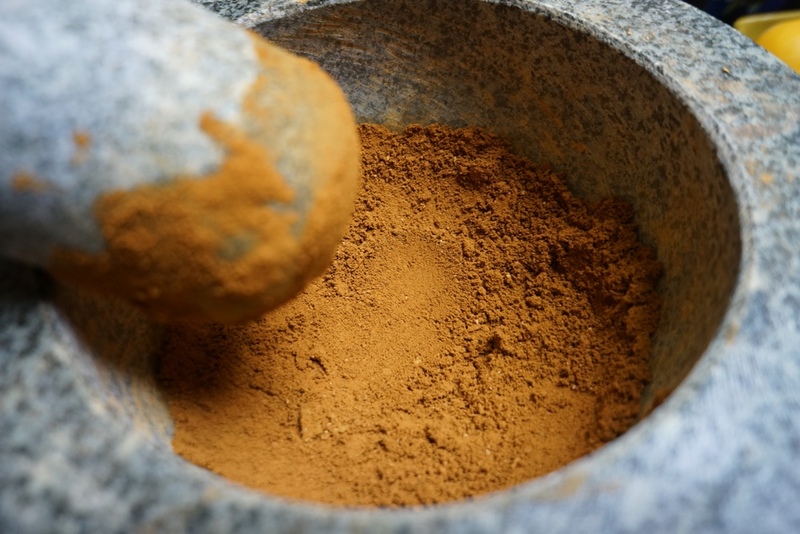 Making ochre pigment from goethite using traditional mortar and pestle. 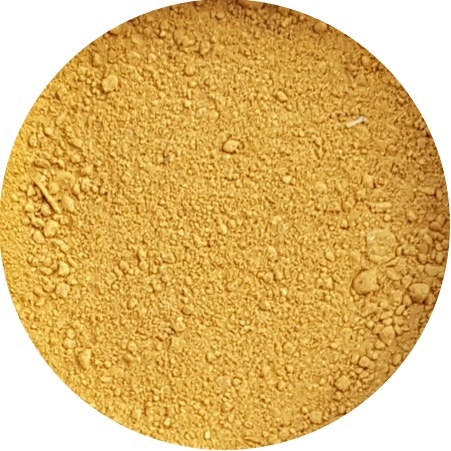 Ochre is a color term and it is a material term, thus strikes a lot of confusion. 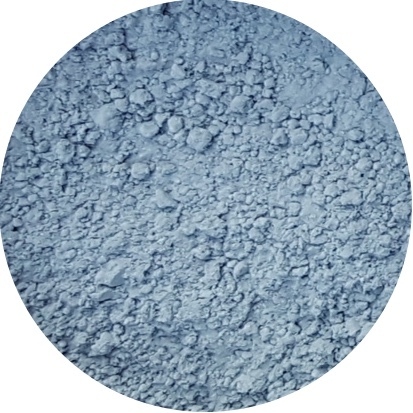 As a material term, it means a mineral whose primary metal element is iron. Ochre means different things depending who you are talking to. 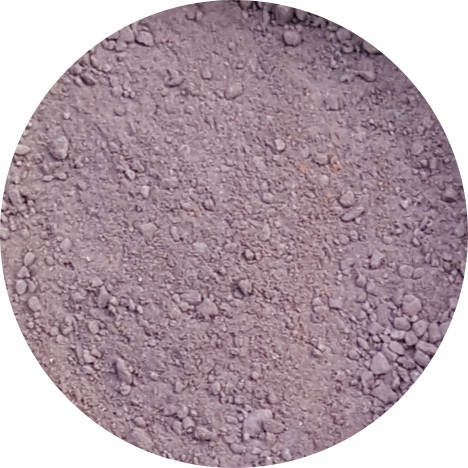 Most generally ochre means ‘earth color.’ After the invention of elemental analysis, we narrowed that down to mean ‘mineral earth pigments with iron.’ All mineral pigments contain metal-based elements, known as transition metals, informing our experience of the color spectrum. 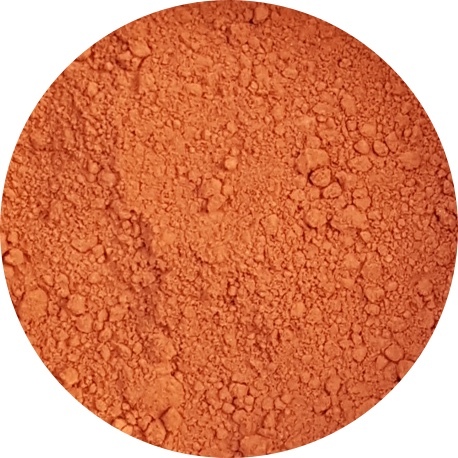 In the case of ochres the primary metal element informing color is iron. 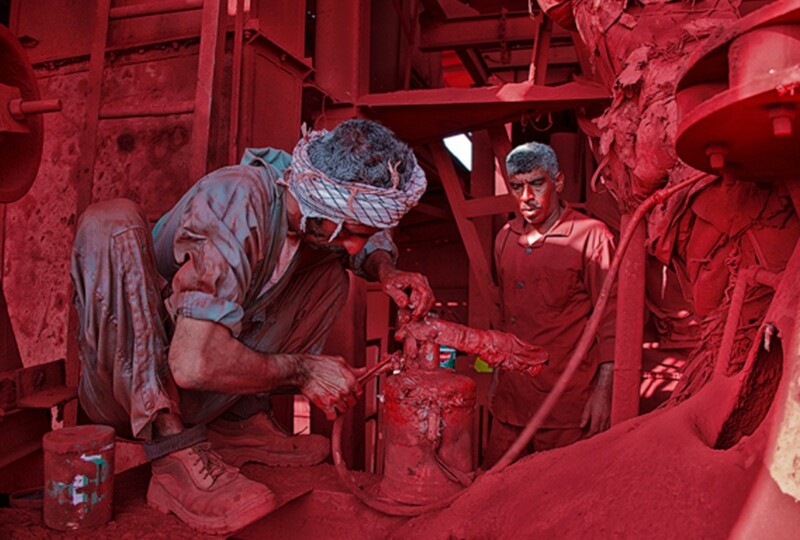 Iron oxide and hydroxide ores typically used for pigment are: hematite, limonite, goethite, magnetite and maghemite. We also consider vivianite an iron-based ore to be considered among the ochres. 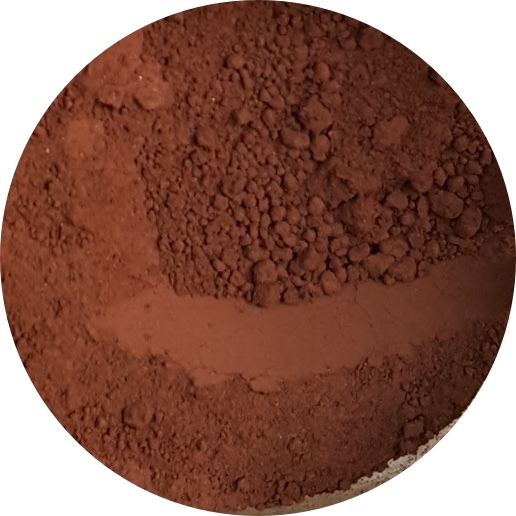 For more read our Ochre Minerals page. 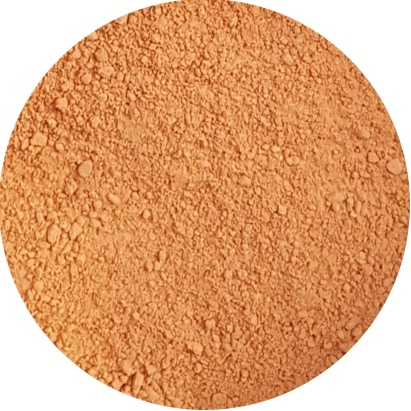 Ochres are common, accessible, medicinal, inspiring and of deep origin. 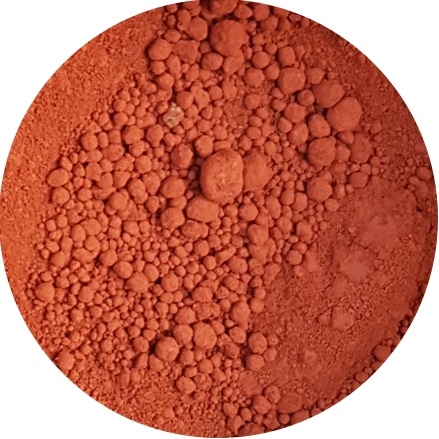 Human use of ochre, especially red and black ochre, dates back at least 170,000 years in South Africa, at the dawn of humanity. 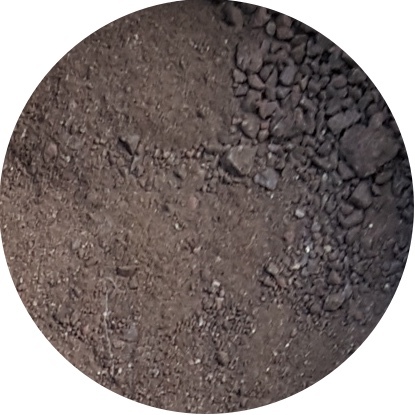 We believe ochres –iron-based clay, soil, rocks– grant us primordial access to key elements involved in the transformation of life. 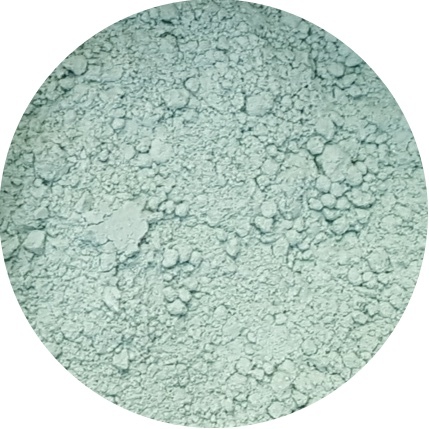 Studying iron-oxide on multivalent levels, and through visual use of color and color language, provides paths to learn more about these unique processes of transformation.